4 Summit Park Drive, Bemus Point, NY.| MLS# R1114719 | Chautauqua Lake Real Estate Services. Informed, Professional Real Estate Information Serving Buyers and Sellers Interested in Lake Chautauqua Real Estate and Chautauqua County NY Real Estate. Rick and Julia McMahon Real Estate Advantage Since 1992. CLICK VIRTUAL TOUR LINK TO VIEW 360 DEGREE VIRTUAL REALITY TOUR! 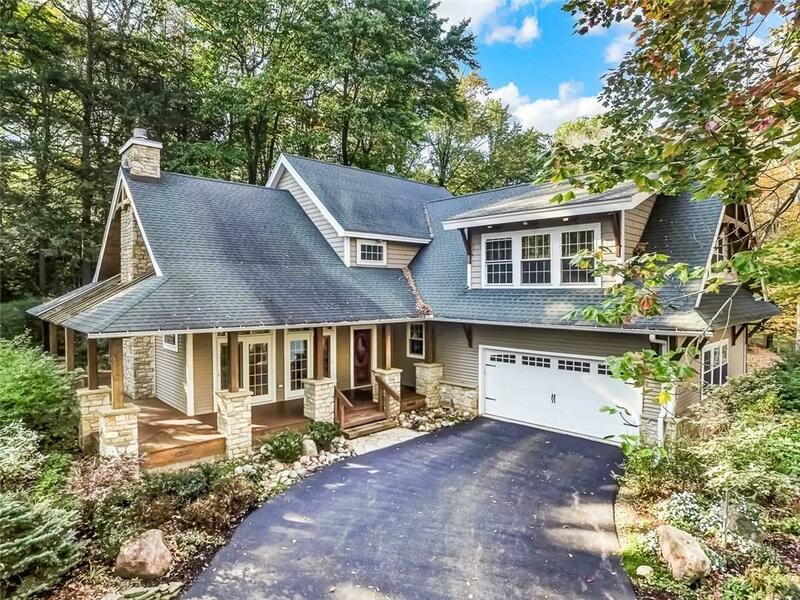 Beautiful custom built 5 bedroom home w/ exposed timber peg beams throughout. This is the perfect location for year round recreation, bordering Long Point State Park in Bemus Point with easy access to walking, biking trails and snowmobile trails. There is Lake access on the neighborhood dock at the end of the road + a boat slip. Inside you will find an open floor plan w/ hardwood floors on the 1st floor. The large living room features vaulted ceilings + a stone gas FP, open to the eat-in kitchen and dining room. The 1st floor also features a master suite, laundry room and half bath. The 2nd floor features a guest suite w/ its own bath, plus 3 more bedrooms + full bath. The finished basement provides extra entertaining space! Directions To Property: From Bemus Point Take Lakeside Drive Towards Long Point State Park. Turn Left Onto Merriman Road And Turn Onto Summit Park Drive.